25 horsepower, water cooled, flooded chiller. 10 of these units are being used in the new addition of a compressor manufacturing plant in Tennessee. The units maintain the water and water soluble coolant at 72 degrees F. JIC electrics are standard on this unit. 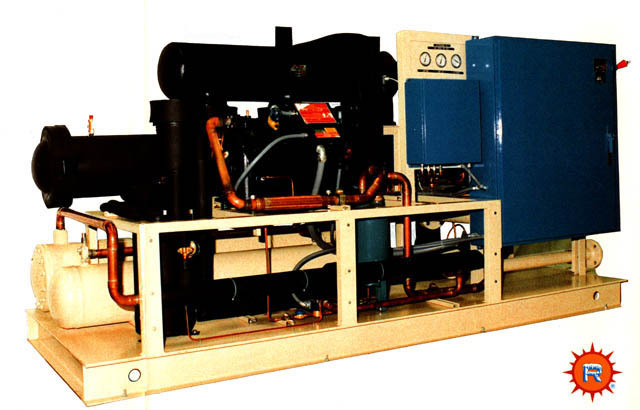 This type of chiller can be used to cool any fluid. 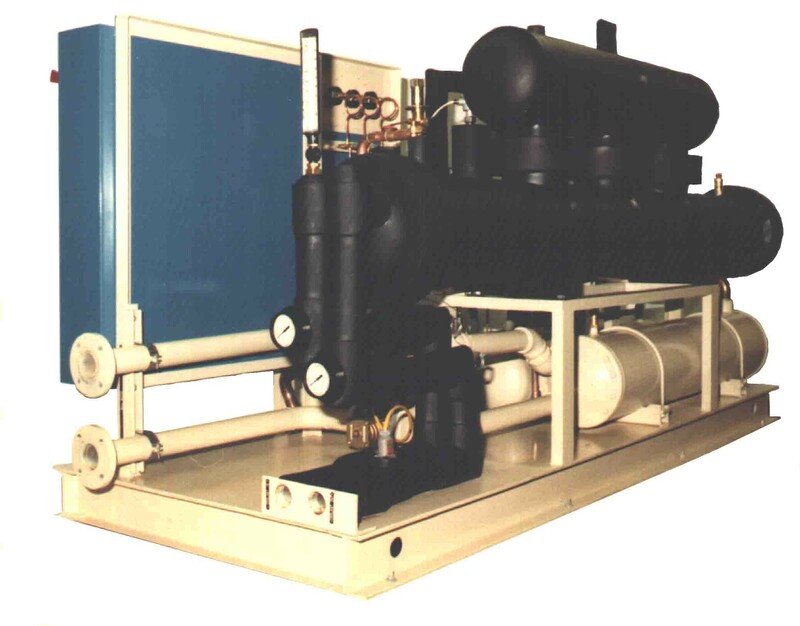 It is being used to cool water, water and soluble oil solution, cutting oil, hydraulic oil, paint, and air. It is the finest chiller produced. EER ratings as high as 22 are not uncommon.